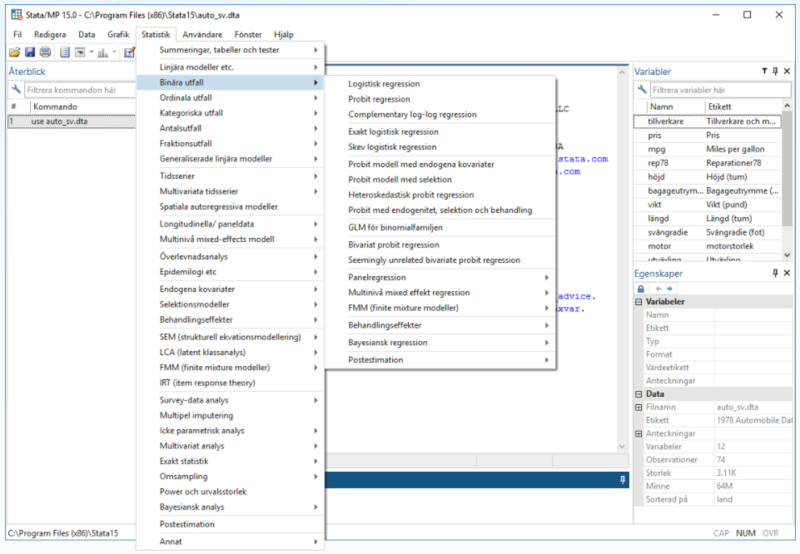 All of Stata's interface—all menus and all dialogs—is now available in Swedish. If your computer locale is set to Sweden, Stata will automatically use its Swedish setting. To change languages manually using Windows or Unix, select Edit > Preferences > User-interface language...using Mac, select Stata 15 > Preferences > User-interface language...You can also change the language using the set locale_ui command. StataCorp gratefully acknowledges the efforts of Metrika Consulting AB, Stata's official distributor in Sweden, Finland, Norway, and Denmark, for the translation to Swedish. Stata's Do-file Editor—its integrated text editor—is used for editing text files, including do- and ado-files that you write. Stata 15's editor has new features. One new feature is automatic code reindentation. This includes converting spaces to tabs when appropriate. Here is an ado-file that is poorly indented. Stata does not care, but you do. 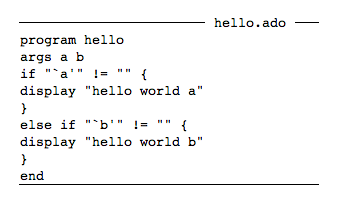 Open hello.ado in Stata's Do-file Editor. Select Edit > Advanced > Re-indent.